Anke is the founder and CEO of Sedona Soul Balance (Sedona, AZ) assisting individuals from all over the world in shedding emotional ballast and finding their true Self and Soul Balance. She is a dedicated Transformational, Life Empowerment Coach (Jack Canfield trained) and Spiritual Guide, International Speaker, Published Author. Anke’s insightful sessions and workshops—in beautiful Sedona and online—are strongly influenced by her studies in Native Philosophy, Metaphysics, European studies, art and music, and world religions, as well as her work as a teacher with at­-risk, inner­-city kids, for which former President Bill Clinton honored her. Anke’s specialty is guiding a person’s energy toward being more balanced, fulfilled, and effective for focused actions and solutions. 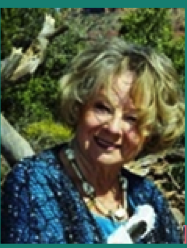 Anke is Sedona’s premier Life Empowerment Coach with the special Insight to the burdened Female Soul. Anke Buffalo Feather’s gift of intuitive assessment recognizes instantaneously “where you are and where you want to be.” The Interpersonal connection changes the perception of Self.